Since its construction in 1986, the Jerez de la Frontera circuit has always been popular track on the MotoGP™ calendar amongst riders. Set in a slight valley in the south of Spain, Jerez is blessed with consistently good weather and beautiful scenery, its numerous grandstands providing the perfect viewing facilities for up to 250,000 spectators. 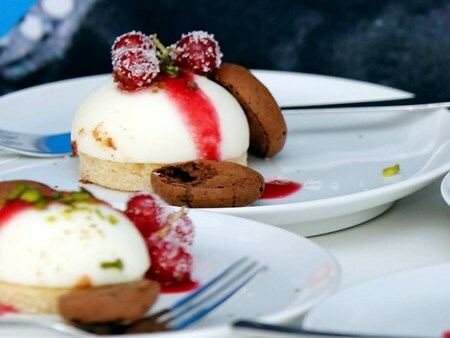 MotoGP hospitality is regarded as one of the most impressive forms of corporate entertainment; what better way to impress your most valued guests than in luxurious style whilst enjoying the electrifying Spain MotoGP™ racing on the track. Enjoy your VIP experience with a privileged location, allows the best moments of the testing with excellent views of the team garages. An exclusive spot in the Main Grandstand, for companies and individuals looking for a different and privileged experience. 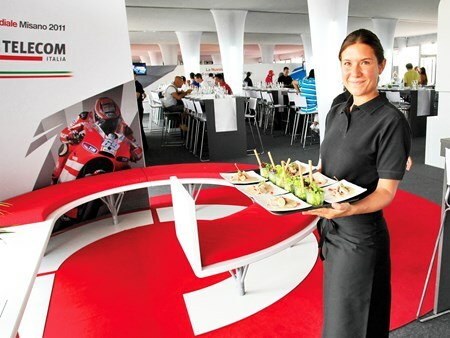 The VIP Hospitality suite is situated in the first floor of the Main Grandstand. The privileged location allows the best moments of the testing with excellent views of the team garages. Enjoy 3 nights’ accommodation at the H10 Marina Hotel across the race weekend where you will be welcomed with a drink. The package includes transfers both ways on each day before relaxing in the luxuriously appointed air-conditioned private VIP suite at the circuit. Can't find your favourite MotoGP™ Spain package?